The Webhook Zibot fields can contain data values taken from previous Zibots and the starting event. All open text fields in webhook settings support JSONPath syntax. To get a specific value in the JSON return object you can write a path in which that value is placed. To see proof JSON object returned from the proof creation event you can check our API reference page. To see other applications RestAPI JSON return object you need to see their API documentation. 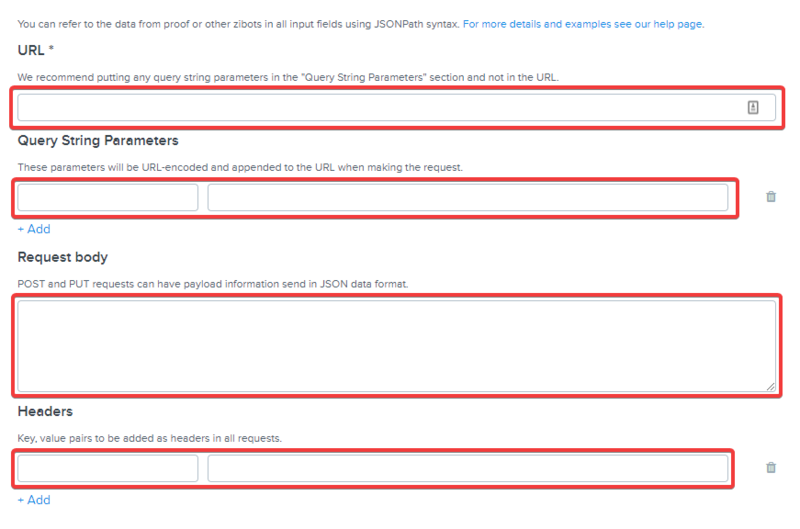 Webhook fields works with all JSONPath expression standards.